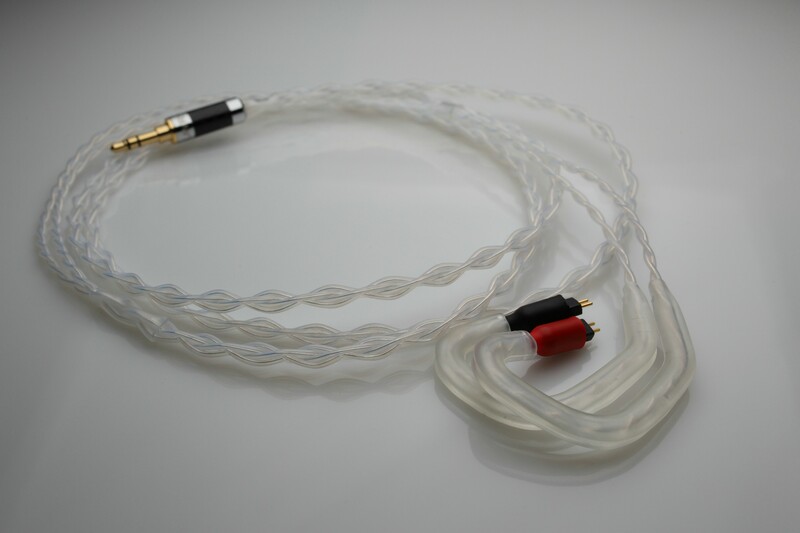 new v4.0 (all ends are reinforced with additional silver (provides better durability and memory for iem hooks). v3.0 (extremely soft silicone hooks – transparent (by default), white or black). 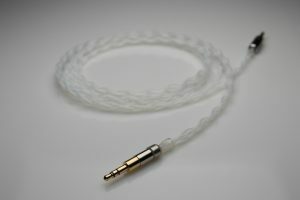 v2.0 (new design, white hooks, slider, transparent heatshrinks, new 3.5mm plug). 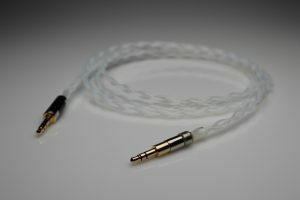 Very noticeable upgrade and step over the standard cable! 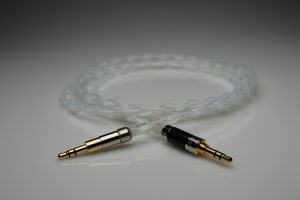 Review for similar Shure cable on Head-Fi here and here and here and on Facebook. 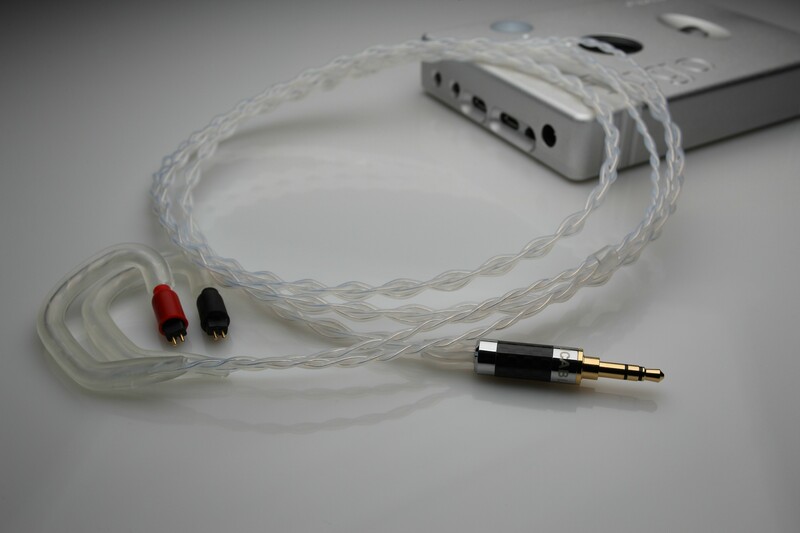 • Carefully handmade braided cable consists of 4 cores of AWG28 (0.33mm ⌀) solid silver 6N purity wire. 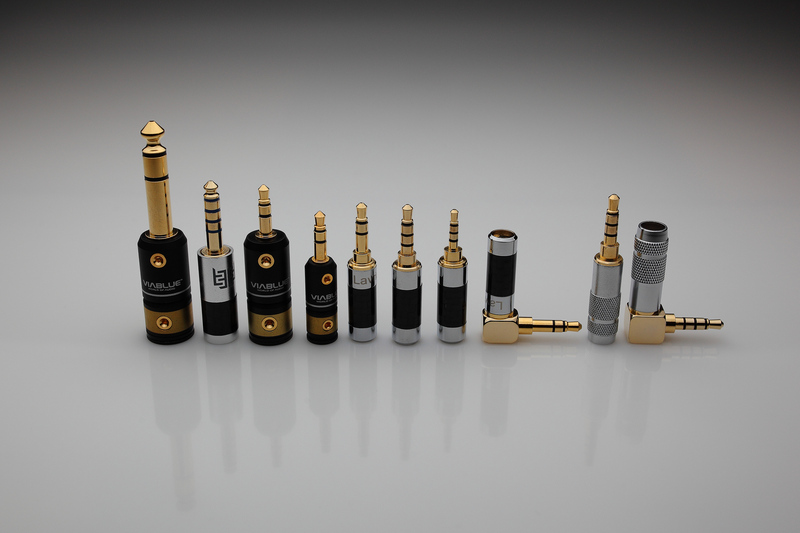 • Terminated with beautiful gold plated 3.5mm Carbon plug with thermal adhesive and transparent heatshrink on one end. 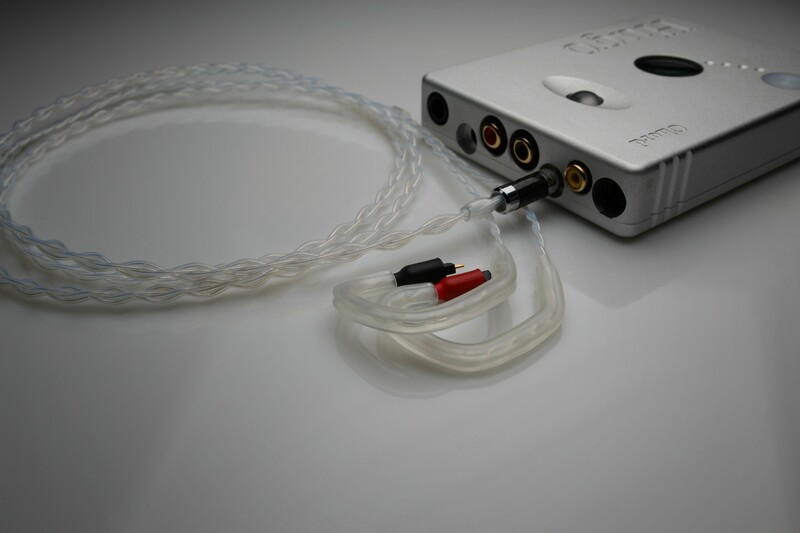 • Gold plated IEM plugs on the other side applied firmly using thermal adhesive. 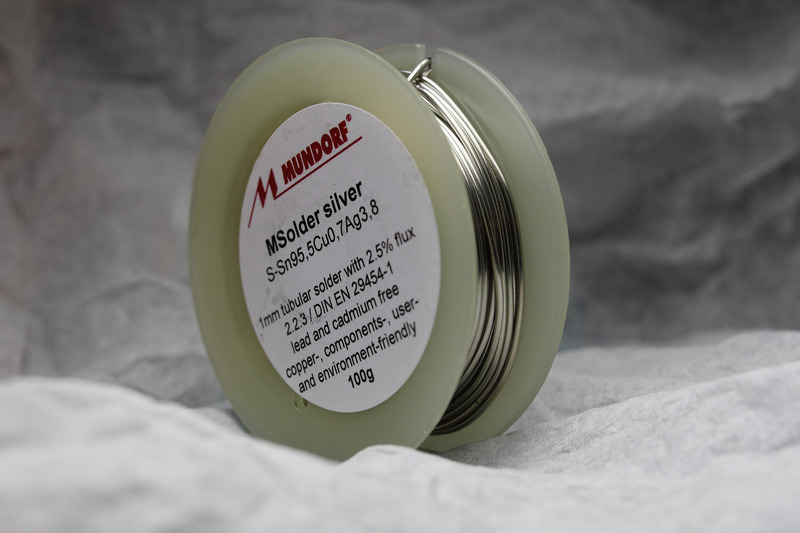 • Soldered with Mundorf 4% fine silver audio solder. • Woven Teflon Litz construction is ideal to deliver RFI and EMI rejection and provides low capacitance. 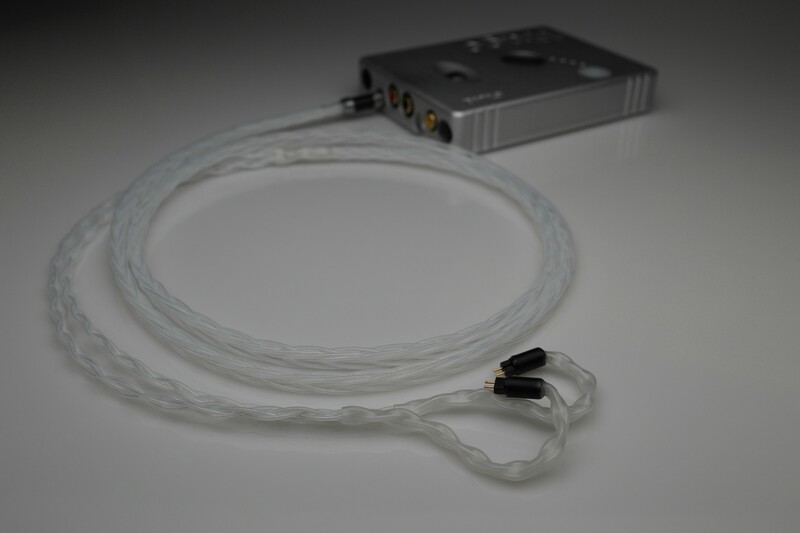 • 6N silver transmits electrical signals faster and with less distortion than ordinary OFC wires. • High grade Teflon insulation gives a predominant air dielectric and is regarded as the best insulator for bare cable. 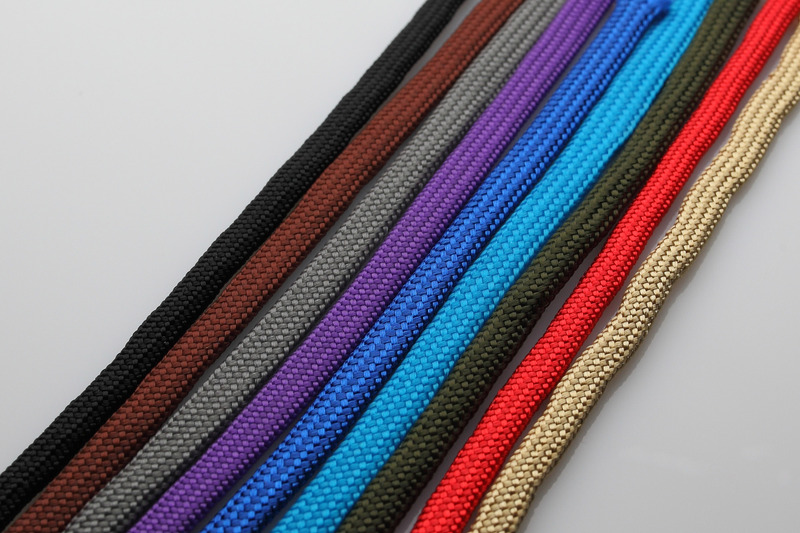 • Please note – silk sleeving is available till the Y split.